Many courses are free and you may be entitled to time off work to attend them. They are designed to be friendly and informal, with practical exercises and no long lectures or exams. UNISON has a network of learning representatives who can offer guidance and signpost you to local courses. If you are a learning representative or lifelong learning co-ordinator who would like to organise one of these courses in your branch, please contact your regional education team for assistance. Our 10-week Return to Learn and Women’s Lives courses are designed for members who may have been away from learning for some time. Run for us by the WEA, these courses offer a welcoming and supportive route back into education. Our weekend workshops, Coping with Change and Making a Difference, are delivered by the WEA. 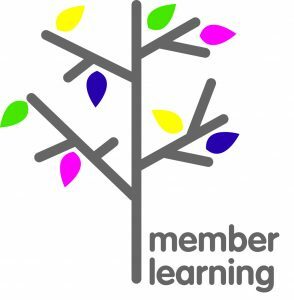 They are open to UNISON members only and focus on personal growth and dealing with change. We offer a range of shorter workshops, which can be opened up to both members and non-members. These include continuing professional development (CPD) courses delivered by the Open University, and workshops run by the WEA which are intended to build participants’ confidence and explore their skills. UNISON can offer advice and support on other training and development opportunities available for members. There are a range of learning opportunities available online. This can offer a flexible and convenient way to study. UNISON works in partnership with a number of well-known organisations, networks and programmes, including the Open University, the Social Partnerships Network, the WEA, the National Extension College, Unionlearn, and the NHS Social Partnership Forum (England).